Any issues during your pregnancy? 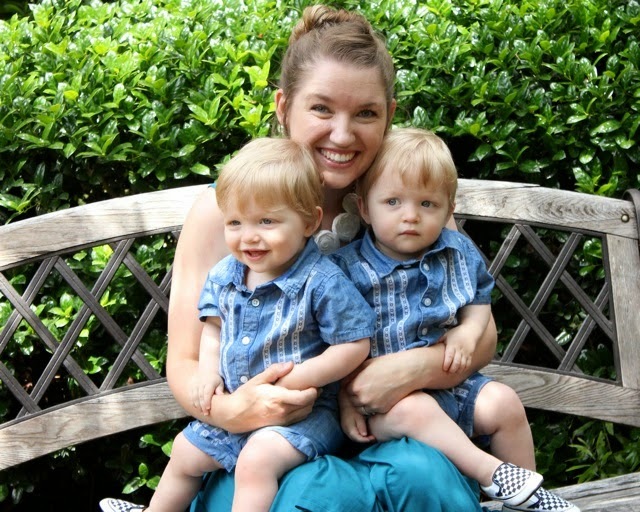 I had a perfect pregnancy until 33 weeks when early signs of preeclampsia appeared. I was checked into the hospital for 5 days of monitoring and bed rest. During those 5 days I went from early signs to extremely high blood pressure and issues with several organs. I had an emergency c-section and 24 hours of magnesium post delivery. 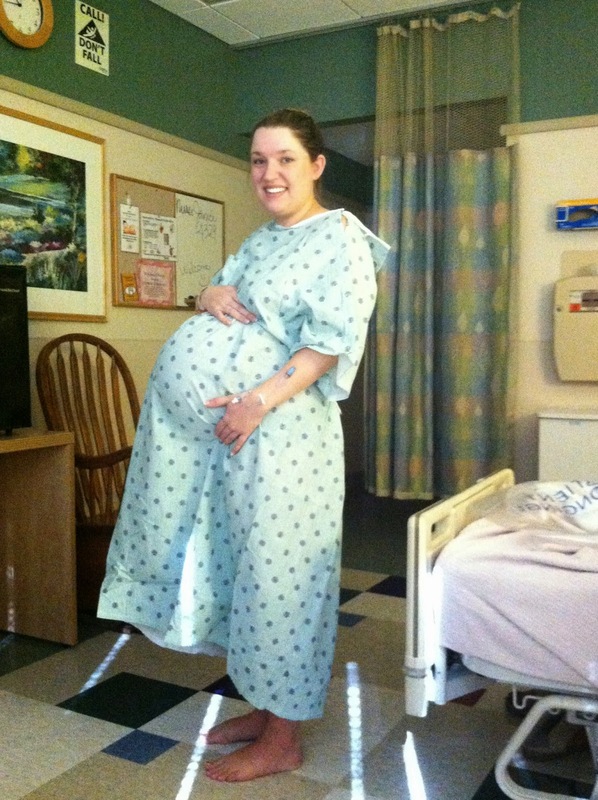 Memorable/funny moment when you were pregnant: I was outgrowing all of my maternity clothes by about 6 months. My husband took me to the mall for lunch and clothing shopping. I was so hungry all the time! I found myself eating Chinese food (with chopsticks) while walking through the maternity store. My husband was even feeding me a few bites every time I came out of the dressing room! Looking back, what is one thing you would tell your pregnant self? Be nice to your husband. I worked full time right up until I went to the hospital. I used up all my energy for work and other people and my husband did not get my best when I got home. He never complained and took incredible care of me but I wish he got the best of me while I was pregnant. Did you have a c-section or natural delivery? I had an emergency c-section. After four days in the hospital I had gotten mixed information about what was going to happen...continued hospital bed rest, bed rest at home, etc., so I was waiting to see my dr Monday morning for answers. Instead I was woken early in the morning by a nurse telling me I was having babies today. My husband works nights and had just gotten off work. I called him in hysterics and he came right to the hospital. The rest of the day is kind of a blur. The boys were born and were perfect but small. 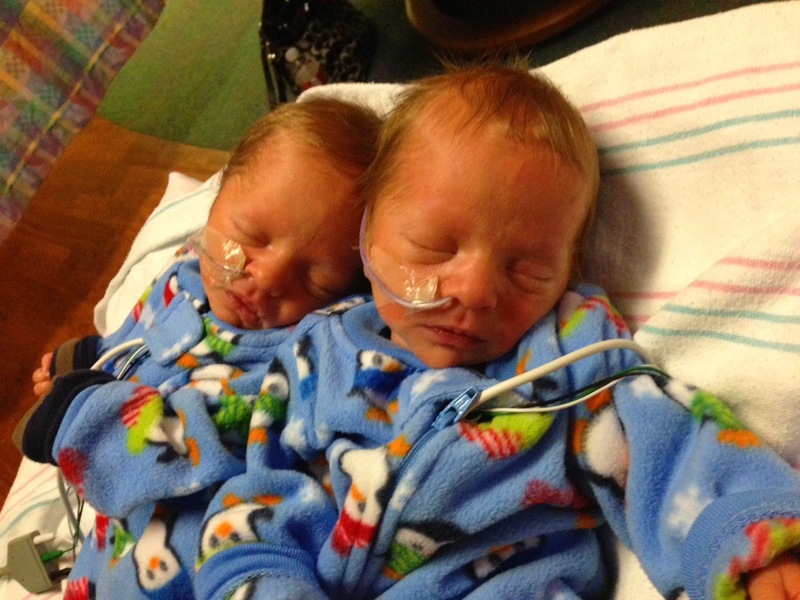 They went to the NICU and I started the worst 24 hours of my life. My doctor said that the magnesium drip she was going to give me would make me feel like dying but would save my life. No truer words ever spoken. 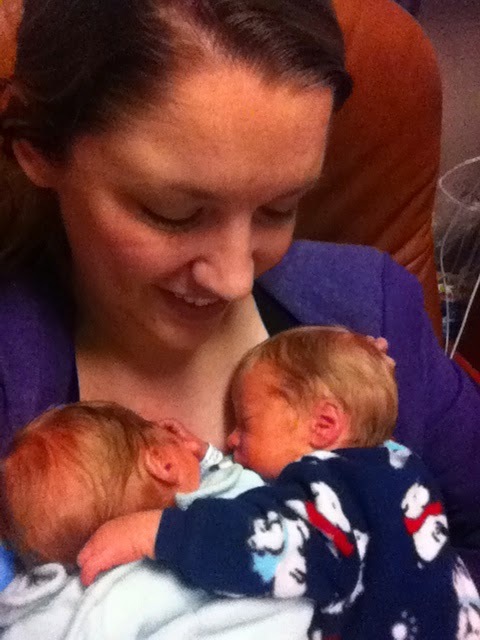 I didn't get to hold the boys until they were 30 hours new. Any NICU time? If yes, for what reason and how long? 21 LONG days spent in the NICU. The boys were medically perfect but tiny and jaundiced. So they had to gain weight before they could come home. Did you have any complications after delivery? I don't remember much of the 24 hours after delivery because I was so medicated and sick. I had a 24 hour magnesium drip due to the preeclampsia. When all was said and done I have no long term damage to the organs effected by the preeclampsia and spent six weeks on blood pressure medicine before being cleared there as well. Describe one of your favorite moments while you were at the hospital: My mom flew in from California the day the boys were born. She spent most days in my hospital room while my husband was in the NICU. I could barely move those first few days. She showed me a YouTube video of a kid slipping out of a roller coaster harness and his aunt laughing hysterically (search: Janice it hurts). I laughed so hard I cried. And I cried because my incision is pulling from the laughing. It was the first time I started to feel like me again. 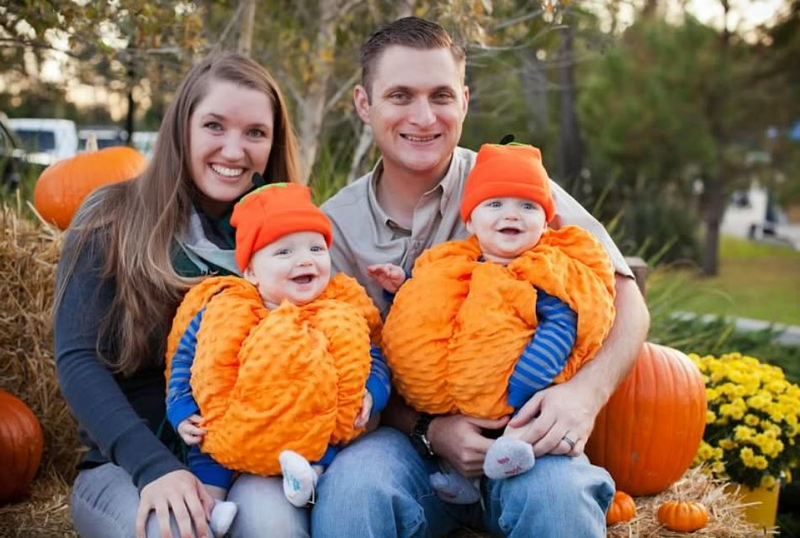 If you had one piece of advice you could give an expecting mom of twins, what would it be? Twins are the hardest most magical experience ever. Everyday make your mark of success that everyone is still alive at bedtime; anything above and beyond that is a bonus.